On the West Texas border a behemoth is bellowing smoke, fire, and death. This monster is the infamous Abaddon Cannon Foundry, whose weapons of war have spread death and destruction around the world – and made a few men in Big Buck, Texas, incredibly rich. Now, a Mexican-born teenager has disappeared into this fortress factory, where men work and sweat as slaves. This boy’s sister wants to learn her brother’s fate, and she happens to know a man named Shawn O’Brien, the Town Tamer. Shawn rides to Texas to find the missing boy. What he discovers in Big Buck will spark a ferocious, bloody battle with the greatest evil the West has ever known: masters of war who laugh in the face of anyone who defies them. Until Shawn O’Brien raises his six-gun. Then the laughing stops. 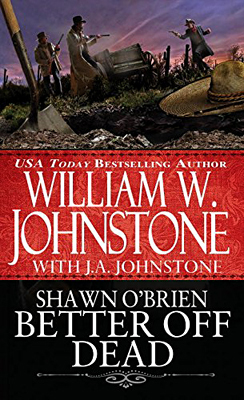 The Shawn O’Brien books are a spin-off series from The Brother’s O’Brien series and one of the other brothers will have a major part to play in this book, this being Jacob O’Brien. Jacob goes undercover into the Foundry and will witness some horrific scenes that illustrate what many imagine Hell to be like. These very descriptive and visual passages bringing to mind the art of painters such as Jacob Isaacsz van Swanenburgh and Pieter Bruegel. The book also seems to borrow from the steampunk genre too in the clothing that those who support the Foundry wear and the weapons that they are developing. I don’t really want to say any more about those weapons so as not to spoil the story for anyone aiming to read it, but these weapons are of interest to leaders of European countries as it seems conflict there is becoming inevitable. With the Foundry run by a seemingly madman with an army behind him, never mind weapons of the like the West has never seen before, the odds against the two O’Brien brothers and their small band of allies being able to succeed in their mission is extremely doubtful from the start. If you want a violent, action packed read where human life is seen as disposable on a madman’s whim, then this very fast paced story should be right at the top of your reading list. When mysterious stranger Daniel Cliff arrives in Ranch Town, he has no shortage of job offers. But the town is caught in the stranglehold of a brutal tyrant, and Daniel refuses to take sides. That is until the spirited Charlotte 'Charlie' Wells, heir to the Crooked-W ranch, crosses his path. When she offers him the chance to help her right the wrongs being rained down on the town, Daniel doesn't have to think twice. After all, she's the reason he's there and he has no qualms about using her troubles to further his own ambitions. However, Charlie is no pawn in a man's game. She is the badman's daughter and nobody is going to stand in her way when it comes to delivering revenge on those who have wronged her. It’s been five years since the last Terry James Black Horse Western appeared, so the question is has it been worth the wait? The story is told in short chapters, the majority ending in such a way that you’ll have to keep reading to find out what happens next. There is also some mystery elements to the plot, such as who Daniel Cliff is and what it is he really wants. The pace of the tale is excellent, building towards its action packed final showdown which answers all the questions Terry James has hooked the reader with throughout. So, to answer my question of has the wait been worth it, then the answer is it certainly has. Terry James (a pseudonym used by Joanne Walpole) still has her excellent ability to craft and gripping tale that holds the readers’ attention from beginning to end. 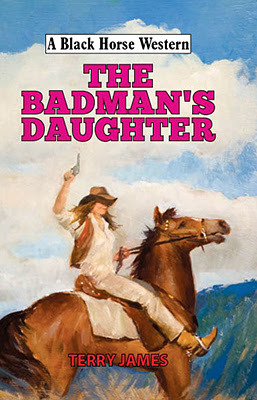 Her writing style making this book a joy to read and one that should satisfy western fans everywhere. Let’s just hope we don’t have to wait a further five years for the next Terry James to appear. Zach King has given up the ways of the warrior. The woman he loves is about to give birth, and he intends to be the best father he can be. Little does he know that he is being stalked. From out of his recent past comes an avenger. A man who has vowed to make Zach pay for killing his brother. A new birth should be a time of joy. Instead, Zach and his family find themselves ensnared in a web of deception and peril. It’s been a while coming, but at last David Robbins has given us a new Wilderness book. Over the last few entries of this long running series Louisa, Zach’s wife, has been pregnant and now is the time for her to give birth. The Avenger isn’t the only deadly problem facing Zach at this time, there is also a female grizzly with cubs, and it’s the bear that will create some of the most breath-taking scenes in the book. Like in many of David Robbins’ books the more horrific scenes are balanced with humour and that is certainly the case with this story. Shakespeare as usual having most of the best lines, indeed his comments making me laugh out loud at times. Seeing Zach trying to adapt from the ways of the warrior to being a father also bringing a smile to my face. David Robbins lets us in on the Avengers plans and it’s the anticipation of discovering how Zach will deal with him once this vengeance driven man plays his hand that makes this book such a difficult to put down read. You don’t need to have read any of the earlier books to understand why The Avenger is set on killing Zach as David Robbins includes enough background information to explain this. 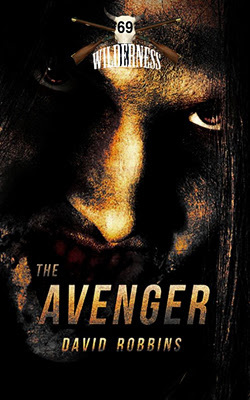 The Avenger is a book that should be enjoyed by all fans of this genre and it is definitely a must read for all followers of the Wilderness series. Some people seem a little confused that the Wilderness series is now coming out with a new author name, rather than David Thompson, so I’d just like to add that Thompson and David Robbins are one and the same, the former being a pseudonym used by the latter. Sheriff Alec Lawson had never robbed a train before. He’d infiltrated a band of outlaws to help capture them, but when they kidnapped Lacey Fry from the Leadville express, he had no choice but to try and rescue the young woman alone. Alec Lawson didn’t know the territory and he didn’t know the girl. He had to fight his way through the snowy mountains, trying to stay one step ahead of the pursuing outlaws. Bill Alcott, the gang’s leader, felt he had been fooled and then betrayed by Lawson. He had to kill him to avenge his brother and keep the respect of his men. Lacey Fry had to ride as she’d never ridden before, and travel with a man she didn’t know, who was her only hope of escaping a fate worse than death. So the chase was on, through snow and bloodshed, until one of them could run no further and hunter and hunted finally came face to face. This is the third book to feature Sheriff Alec Lawson, the previous two begin Silver Express and Dynamite Express. You don’t need to read the earlier books as Gillian F. Taylor includes enough background information in Outlaw Express to fill a new reader in on Lawson’s back story. This tale is pretty much a straight chase story, but with the twist that it is a lawman being hunted by outlaws rather than the other way round as is the case with many books. The fact Lawson isn’t familiar with his surroundings means there are plenty of obstacles to overcome if he wants to stay one step ahead of the outlaws. 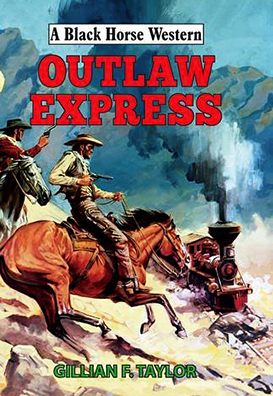 I’ve read a number of Gillian F. Taylor’s books before and have always enjoyed them, and Outlaw Express proved to be another very entertaining read. I can only hope she doesn’t keep us waiting another three years for her next book.